Planting InstructionsPlant at the same level as the soil so the crown of ht eplant is even with the soil level. Don't' bury the crown. Full sun is best for quicker flowering and higher quality plants. 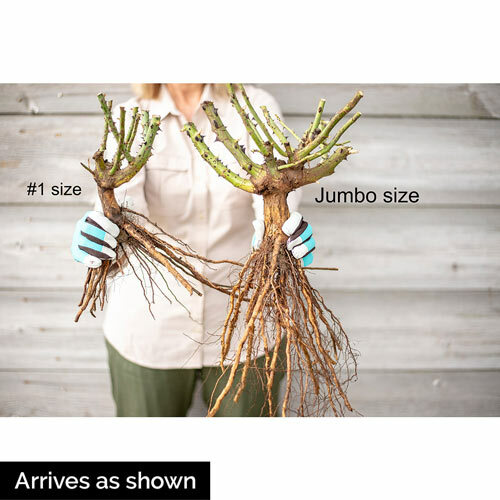 PruningPrune to maintain shape and increase branching once established. Remove any dead or damaged branches. In early spring, remove dead wood canes . 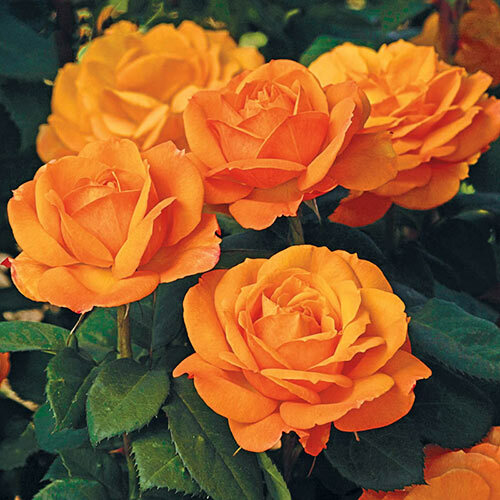 Additional InformationRoses prefer a thorough watering but do not like 'wet feet'. Water early in the day to avoid wet conditions into night which can cause issues with fungus and disease. Unique CharactersticsOrange-Gold-Amber coloration. Tall bushy upright hybrid tea bread for disease resistance and vigor in the home garden.